Your wedding day may be over, but the work is not done! So, grab your favorite pen, pour yourself a big glass of wine, get your cards, and start thanking your favorite people in the world for making your day so special. We rounded up some tips and etiquette we think you might want to know before you get going! 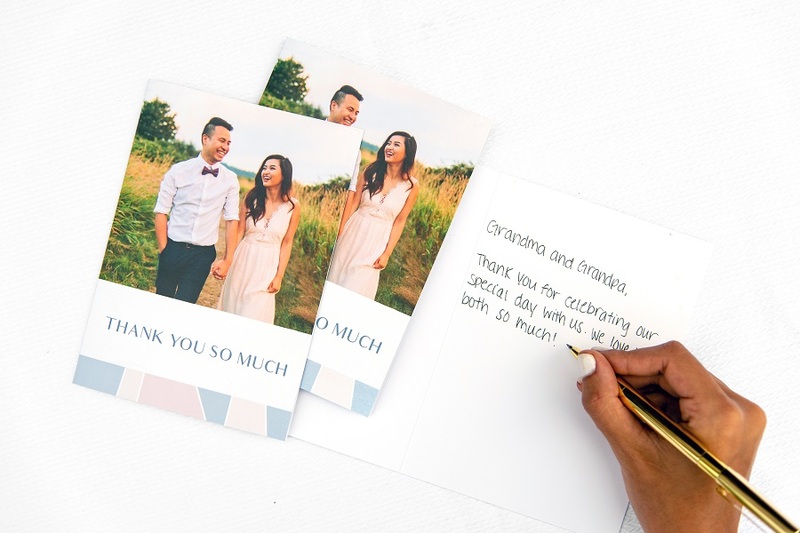 Every person who attended your wedding gets a thank you card! 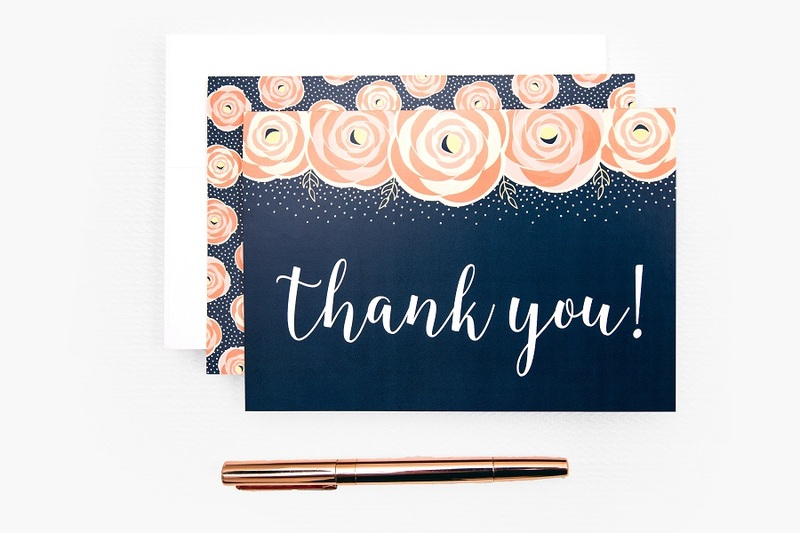 Whether your crazy Uncle Ed got you a gift or not, all guests in attendance at your wedding make the thank you card list. Remember, your guests have a year to get you a gift so write out all of the cards to people who gave gifts first, then finish up your list. If they have still not sent you a gift, write the “thank you for coming card” and if they send you something by the end of the year, simply just write them another note thanking them for the gift. Plan to have your notes sent within three months of your wedding day. This is the perfect amount of time to settle back into the swing of things without waiting too long. Our tip? Write your most heartfelt and special cards first! 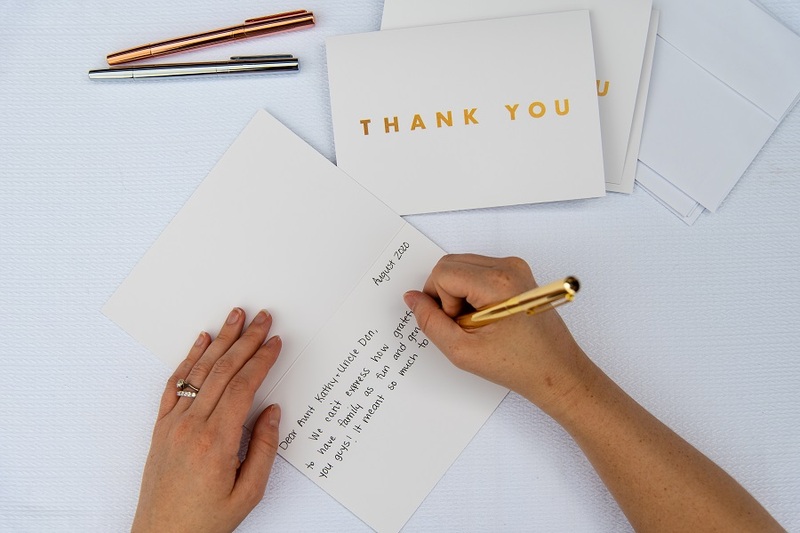 You may want to write something extra sweet in your bridal party, parents, and grandparents cards and those may take longer to write. To make things easier, track your progress in a document so you don’t miss anyone! Take your time with each note and make it special for the recipient! “Thank you for the generous gift, we really appreciate it!” is not going to cut it. Make sure that your sentiment is specific to the generous gifts you receive, handwritten, and personal! Want to go above and beyond for your guests? 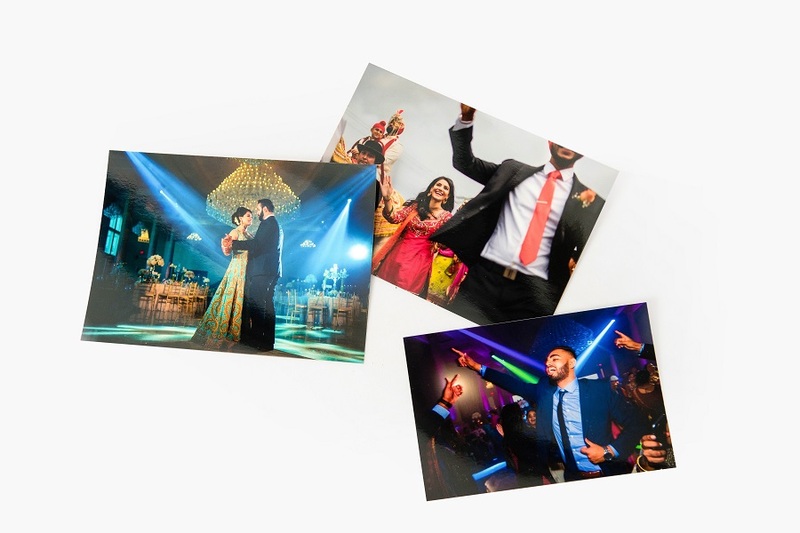 We love the idea of including a few 4x6’’ Prints of your big day especially to those who made your day extra special. Think bridal party, parents, grandparents, and out of town guests. It will mean so much to them to have a photo as a token of your appreciation. Don’t miss the chance to thank those who worked so hard to make your day perfect! Photographers, videographers, florist, seamstresses, makeup artists, the list goes on! This is definitely not a requirement, but we think it’s such a sweet touch. 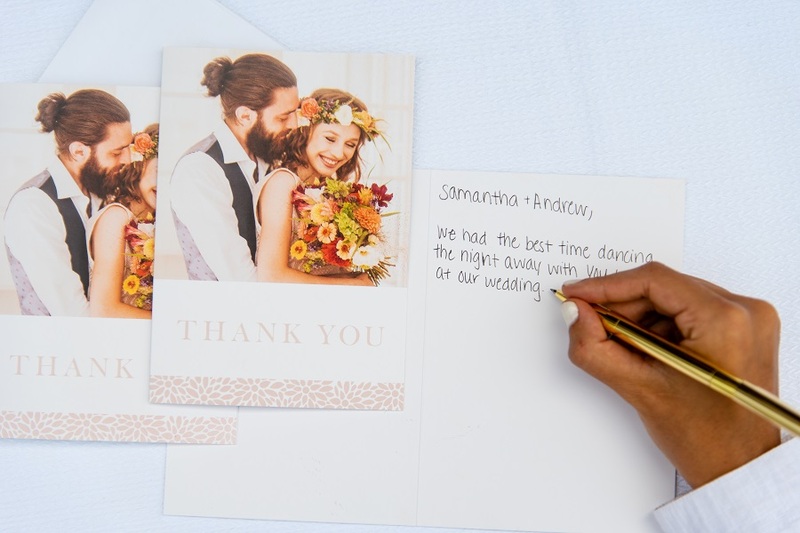 Thank you cards are the perfect way to put the final touches on your wedding celebrations. We hope you can turn this obligation into something fun with your spouse!